Fortunately, there are things that you can do for your employees’ mental health and well-being. Believe it or not, most of these things do not involve expensive equipment but some attention and help. So let’s dive in! How to build a positive company culture? Building a positive company culture should start with positive management and senior employees. Management should always set an example and behave the way they want the employees to do so. Professor Sir Cary Cooper, a UN advisor and professor at Alliance Manchester Business School, who carried out to above mentioned Staples research, agrees that how bosses behave is very important. He says that better listener skills and a positive approach to suggestions can help a lot. For example, when an employee asks for flexible working options, it should be granted if it is possible. If the stable, positive company culture is founded, you “only” need to make smart decisions in the future. Lee Biggins, founder, and CEO of CV-Library, the UK’s leading independent job board, says that looking after existing employees, will show new hires what to look forward to if they do well. This can help with retention and office morale, whilst making team members proud of their job, which is according to Staples research is a big thing as 31% of office workers are actually ashamed of their job. “If you know your company culture inside and out, maintaining positivity becomes easier. In order to build a great company culture, I’d recommend starting with your recruitment process. 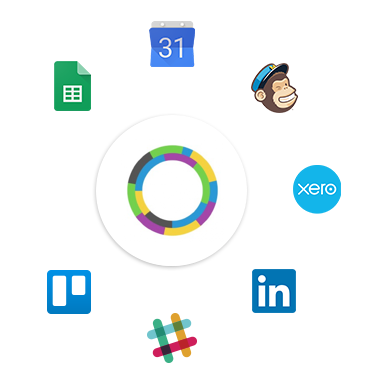 By hiring smart, you’ll avoid potential employees who’ll be difficult to work with and won’t fit in with the existing workforce. Employees are at the heart of every business and if you hire people who won’t be a good cultural fit, this will negatively affect what you’re trying to achieve.” – says Lee Biggins. Hiring the talent that you need to scale and at the same time fits in perfectly with your existing team is not that easy, but with some planning and research, it can be done. A disruptive working environment can negatively affect productivity and be the cause of stress. 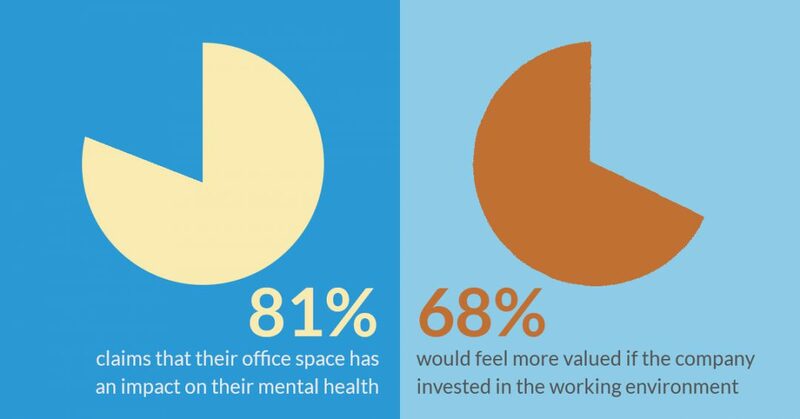 According to Staples, 81% of employees claim that their office space has an impact on their mental health. Did they mean good or bad impact, one might ask. This might answer the question: 68% would feel more valued if their organization invested in their working environment. Having comfortable chairs, proper screens and lighting should be fundamental, and still, many offices are not satisfyingly furnished. Agreeing on a temperature that suits more or less everybody in the room is also important. Having stationery products, proper desks and organized spaces can as well improve upon the office experience. Boring spaces like offices with cubicles can ramp down creativity. To let creativity flow, the office needs colors and inspiring design, but don’t go to the extreme and create an office full of potential distractions. A well-designed office space with positive vibes can improve on the whole company culture. Professor Sir Cary Cooper suggests office workers have lunch together at least twice a week, and definitely not using your keyboard as a plate, having your headset on and blocking everybody out. Try to have lunch with a different colleague every time if you work in a big office and connect with others, even if only for small talk over coffee. Organize regular team outings to let off steam a bit. At 10to8 we go out on almost every Tuesday after our Project Meeting to grab a beer or a diet coke. This works quite good for us, as we can ease into the evening after a meeting that is usually packed-full with status reports of important projects and brainstorming about new ideas, and we have at least two big team events: a summer party when we engage in physical exercise and fun tasks, a Christmas party when we try not to get food poisoning from our made-from-scratch meals. Other companies, such as Anthesis Group, a sustainability consultancy has been piloting the so-called ‘engagement week’ which has been a great success. Gamification at work can have a big effect on company culture, as according to Staples’ study 89% of UK office workers seek fulfillment at work. Recognition programs and thought-through rewarding systems can reassure employees that they are valuable members of the team and not tiny cogs in a machine. With the job market full of Millennials, you need to offer an appealing career path and rewards for their hard work, because they are not afraid of job-hopping for fear of being stuck in a dead-end job. Being appreciated is one of the things that can make new-gen employees stick around. This advice is coming from CEO and founder of CV-library, Lee Biggins. A statement that Peter Done from Peninsula agrees with.. Does your company have positive and inspiring people at the top? Are they capable of listening to the pain points of employees? Do you do the research to hire the right people? Or do you give in to the pressure of the job market and make quick decisions that you later come to regret? Do you invest in enough to create an inspiring working environment? Do you know your employees and do they know each other? Are your employees recognized and rewarded for their achievements?